Buying a new car? Long before hitting the showroom, you’re probably across every specification, option, bell and whistle. You probably know the details of the vehicle better than the unfortunate salesperson and you’re not afraid to show it. So why would you not, then, apply the same level of rigour when buying an Enterprise Resource Planning (ERP) solution to run your business? One of these decisions is important. The other is just transport. The internet provides a deep resource for car and other shopping, and it’s just as good for evaluating business software. After all, if in, say, manufacturing, it isn’t difficult to identify those software providers with broadly suitable solutions. Yes of course there are misleading statements and websites which “dress to impress” as Bishop put it, where substance is lacking behind the puffery, but decision makers need to invest the time to drill beyond that, and they don’t. The problem isn’t that customers are casting the net too wide in the initial selection process. The issue is when they go to market with a complex RFP expecting detailed responses from all potential providers. These days, the best partners are busy implementing solutions. 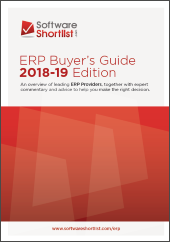 “With full ERP licenses priced as low as A$99 per user per month, how on earth does this support the cost of an RFP process?” asked Bishop. “The devil is in the detail, and it often takes 2-3 sessions just to confirm requirements, and sometimes results in a no-fit. If the RFP exercise amounts to nothing more than a fishing expedition, the resources are better spent servicing existing customers.” Or actually fishing. Is the RFP process broken? Where Bishop and Hand also agree is that the weight of an RFP process is also felt by the customer. 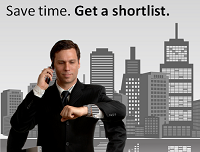 The idea that the RFP isn’t the best way to go about selecting an ERP solution isn’t novel. The idea that solution providers don’t like it is obvious, in much the same way that car salespeople have an aversion to ‘tyre kickers’. But if the time-wasting cuts both ways, and it is easy to see the case, then why not improve the process? If it sounds a bit like ERP providers are having a gripe about the lack of project awards, consider the concept of enlightened self-interest, the ethical philosophy which holds that by acting to further the interests of others, one’s own self-interest is served. For ERP vendors and their implementation partners alike, choosing the wrong projects is disastrous. Any short-term fillip in license revenue will, in the fullness of time, go up in acrid and acrimonious smoke. 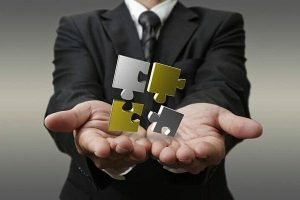 Where a consulting engagement might last several months, selecting an ERP partner is a long-term relationship. Comparing it to marriage isn’t unreasonable: it takes work, there will be good times and bad, and done right it should last decades. Divorce, too, is costly and seriously unpleasant. About cars, to be certain, but also about the software which drives better business. “When an informed customer comes to us, they should be around 70 percent ready from their own research. All you need do is have a read, watch some YouTube videos and do some self-selection before meeting with likely candidates. You’d do that for your new car,” Bishop concluded. Realtech and Inecom participated as panellists on the Lunch Box webinar event held on Nov 29. Listen to the recording now for “Finding and Selecting the Right Software” to get more free advice and tips from experts.